Members of FFDP have long-supported U.S. military and veterans issues. In addition to doing USO tours, the band set up a website (www.5fdp4vets.com) that sells merchandise to raise money and awareness for veterans suffering from post traumatic stress disorder (PTSD). Zoltan is also a founding board member of the Las Vegas-based veterans non-profit organization Home Deployment Project, which also assists combat veterans with PTSD. What version of Five Finger Death Punch shows up at the Illinois State Fair is anyone’s guess. Mercurial frontman Ivan Moody didn’t make it past the band’s first show during a June tour of Europe. After threatening to leave the group during a brief and chaotic onstage performance in Tilburg, Netherlands, Moody announced afterwards that he had “fallen off the wagon again” and was headed for another rehab stint with the support of band members. 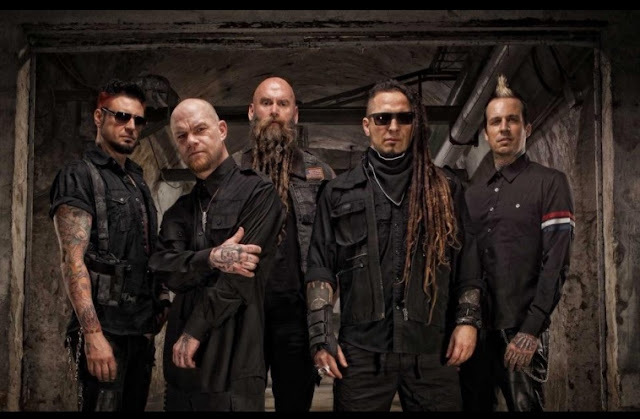 Spokespersons from 10th Street Entertainment, who handle Five Finger Death Punch’s (FFDP) publicity, wouldn’t say whether Moody would be back for the Springfield show, the band’s first since the European tour ended June 24. Then in July, Moody released a statement thanking his fans and his bandmates for standing by him during his rehab stint. “At this point, I am on track to return to the band with a vengeance in Springfield, Illinois, when we begin the next leg of our North American tour dates,” he said in the statement. “It’s my intention to sing at each and every future show we are committed to, in North America and in Europe. I can’t wait to put all of this behind me and move forward." On Valentine's Day (when i got shot) i am 17yrs clean & sober brotherman. You can do this. Never Give Up!